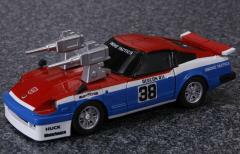 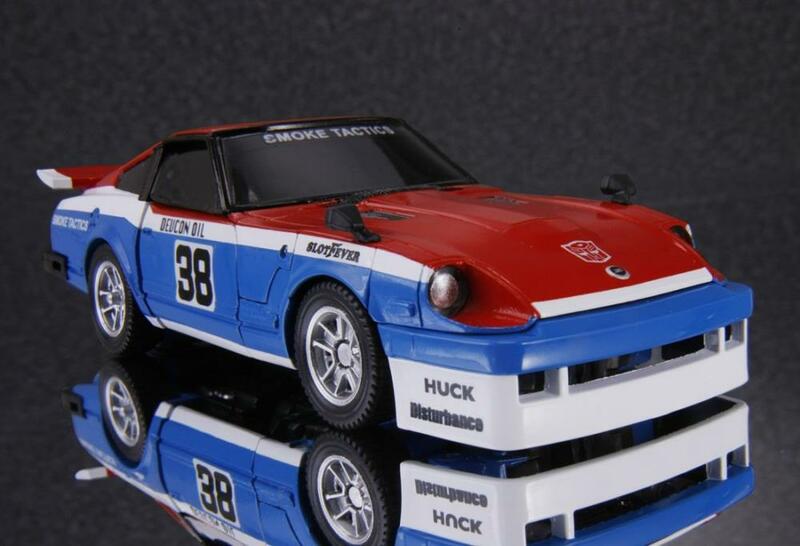 Masterpiece Smokescreen is a redeco and retool of MP-17 Prowl, and transforms into a licensed Nissan Fairlady 280Z-T that's been modified to look like the Electramotive Datsun 280ZX Turbo. 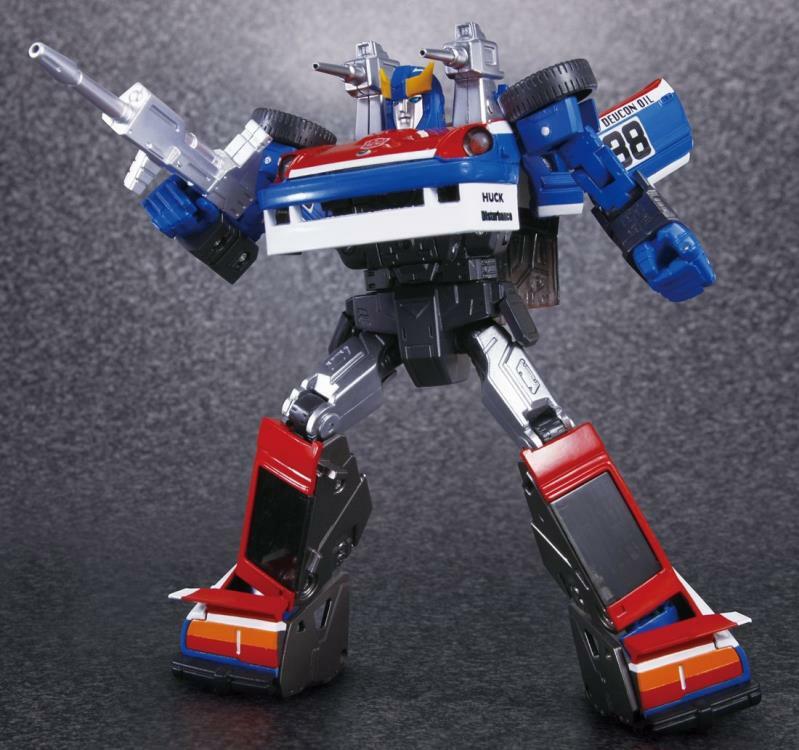 He features a red, blue, & white paint scheme with his various fictional sponsor logos in place of the actual logos found on the real-life vehicle. 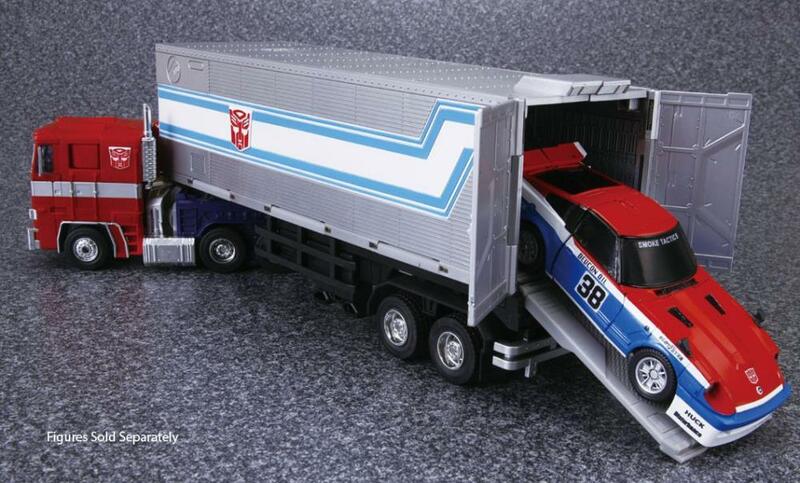 He is in scale with MP-10 Optimus Prime so he can fit inside Prime's trailer when in vehicle mode. 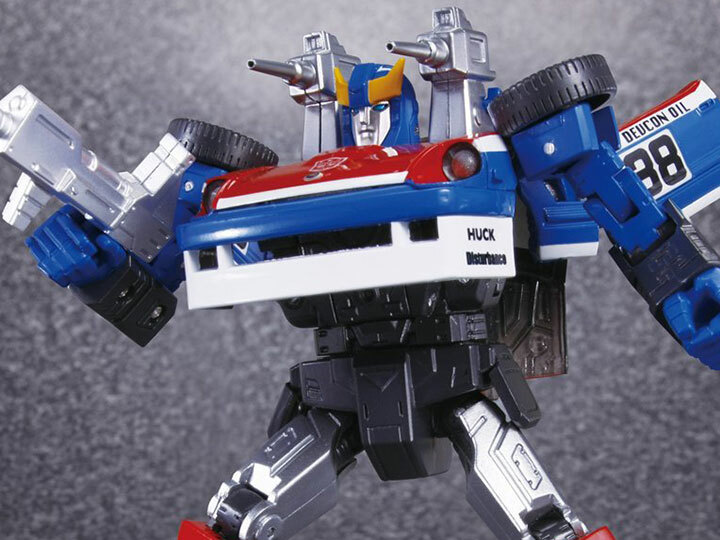 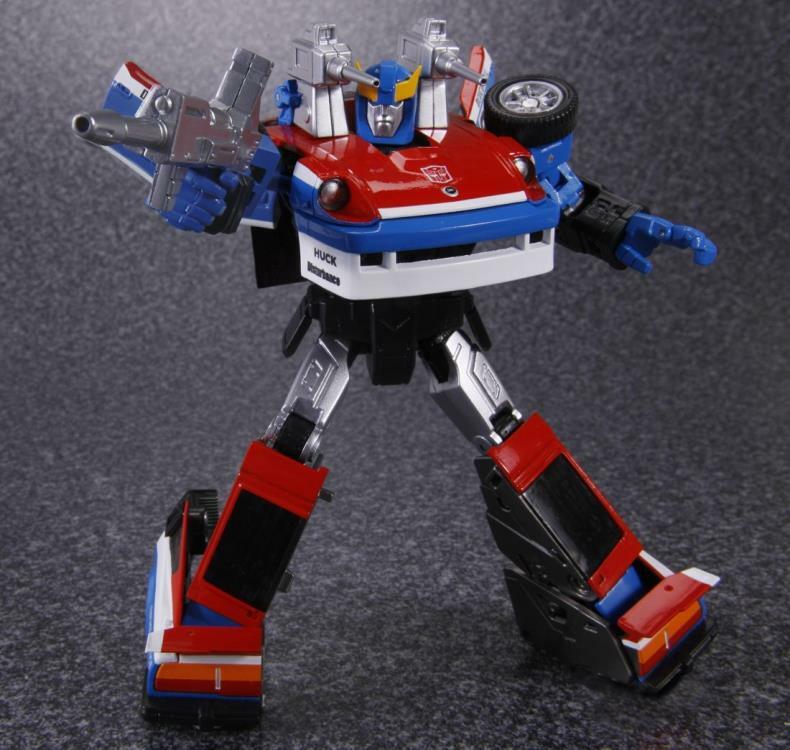 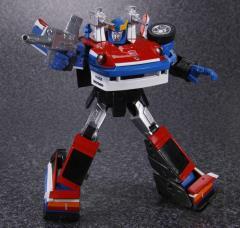 Smokescreen comes with his rifle that can be held with either of his hands or mounted on his roof, as well as a pair of non-firing Jamming Launchers that can be mounted onto the hood in vehicle mode or onto his shoulders in robot mode.